Cardinal Wolsey’s “angels” to go on display…. “Sculptures of angels designed for the tomb of Cardinal Wolsey and then lost for hundreds of years will go on display next week. This link also contains a very interesting video about the history of Leicester. There are plans to look for evidence of the fishponds and orchards of the 12th-century abbey, in what is now Abbey Park, Leicester. There are also calls for this search to include seeking the tomb of Cardinal Thomas Wolsey, who died in Leicester in 1530. His resting place was not left undisturbed for long, because the abbey suffered in the Dissolution. 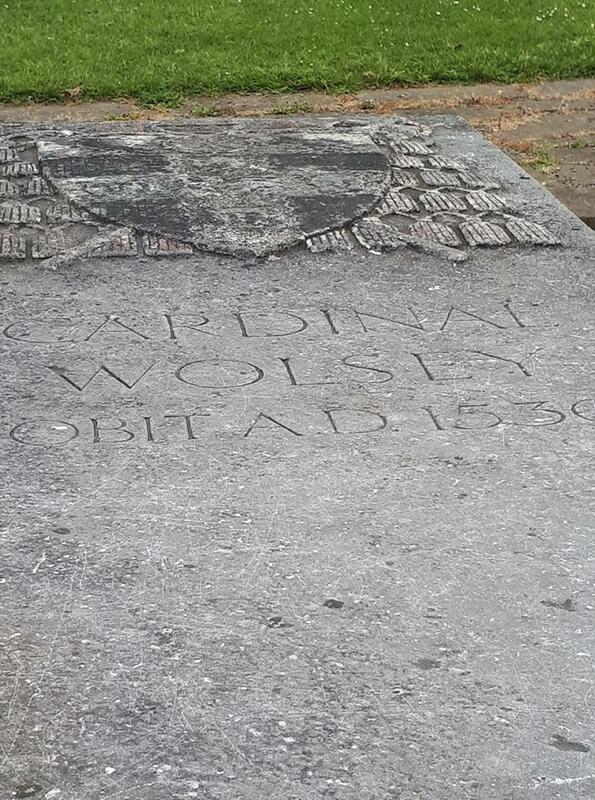 If they do look for Wolsey, it will be at least the third attempt. Nothing was found in 1820 or in the 1930s. Third time lucky? However, judging by his statue, pictured above, I wonder if that is indeed what Wolsey looked like, i.e. permanently, nose-flaringly, furiously outraged. If so, perhaps he should be left quietly where he is. 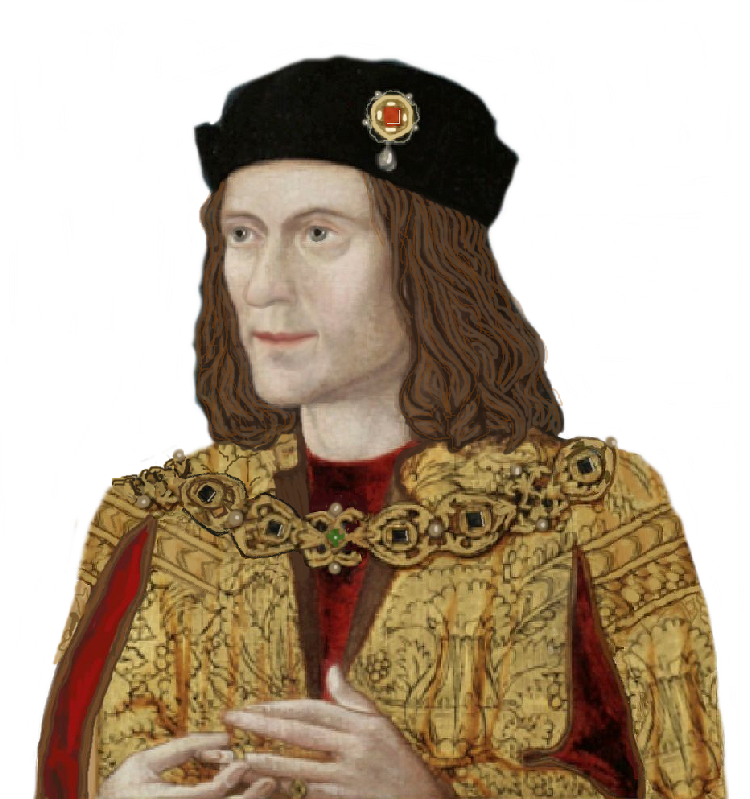 Leicester has more than one ‘lost’ personage, although Richard III has to be the most important, of course. 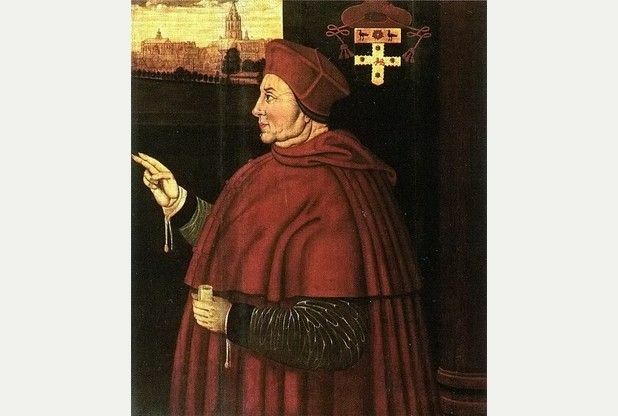 But Cardinal Wolsey has eluded discovery so far, as is revealed in a very interesting article from the Leicester Mercury of 20th April 2015. Chapter 10 of Ashdown-Hill’s “The Last days …” (pp.92-7) describes the circumstances of Richard’s first burial in great detail and adds some intriguing points. 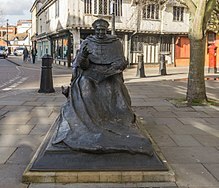 Right at the beginning, we learn that Leicester’s Abbey, also lost and the burial place of fellow “Tudor” victim Thomas Wolsey, was more prestigious than the Greyfriars church. So why was the latter chosen? Page 94 (and notes 10-11, p.189) indicate that these particular friars had a Yorkist leaning and that two of their number had been hanged for opposing Henry IV’s accession. We should remember that Henry ordered several summary executions at this juncture, including that of Archbishop Scrope who was Richard’s maternal kinsman.